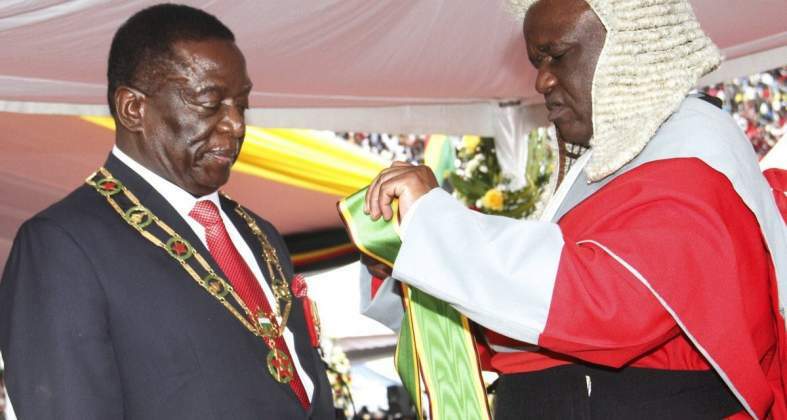 HARARE - Today President-elect Emmerson Mnangagwa is scheduled to be sworn in as the President of the Republic of Zimbabwe after winning the presidential race in the 2018 harmonised elections held on July 30. You can follow these live updates from the National Sports Stadium. President Mnangagwa is now taking the oath of office. MDC-T leader, Thokozani Khupe and senior party members join proceedings at the inauguration of Cde Mnangagwa. Family of God Church (FOG) founder, Andrew Wutawunashe is now giving a sermon. Chief Musarurwa kicked off the proceedings by performing traditional rites. 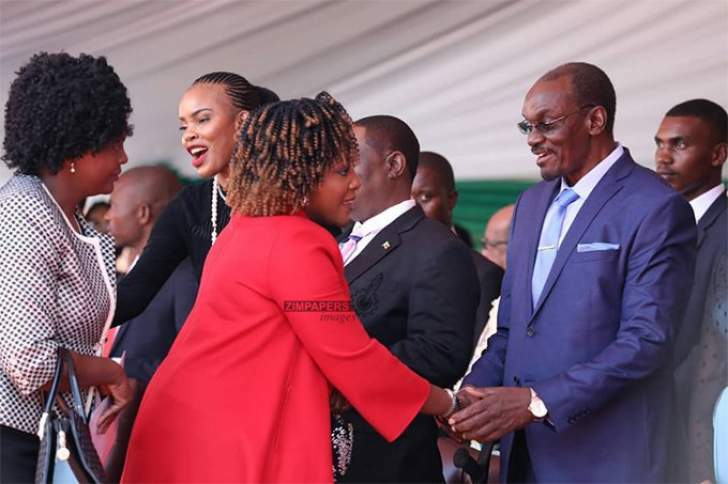 Former President Robert Mugabe's daughter Bona and her husband Simba Chikore is in attendance. The National Anthem is sung soon after Cde Mnangagwa’s arrival. Jah Prayzah’s Kutonga Kwaro sounds as the President elect enters the stadium. THE MOMENT EVERYONE HAS BEEN WAITING FOR: The President elect, Emmerson Mnangagwa's motorcade enters the giant National Sports Stadium. Lesotho Prime Minister Thomas Thabane joins other regional leaders at the inauguration of Cde Mnangagwa. Former President of Mozambique, Joaquim Chissano and Botswana President Mokgweetsi Masisi join proceedings at the National Sports Stadium. SADC Executive Secretary, Dr Stergomena Lawrence Tax arrives for ED inauguration. At the airport, African Union (AU) Chairperson and Rwanda President Paul Kagame arrives. He says the continental body got a report from the AU Election Observer Mission that elections in Zimbabwe were free and fair. Judges arrive at the National Sports Stadium, led by Chief Justice Luke Malaba, who will preside over the swearing in of President elect, Cde Mnangagwa. Now at the National Sports Stadium, Vice Presidents Constantino Chiwenga and Cde Kembo Mohadi arrive. 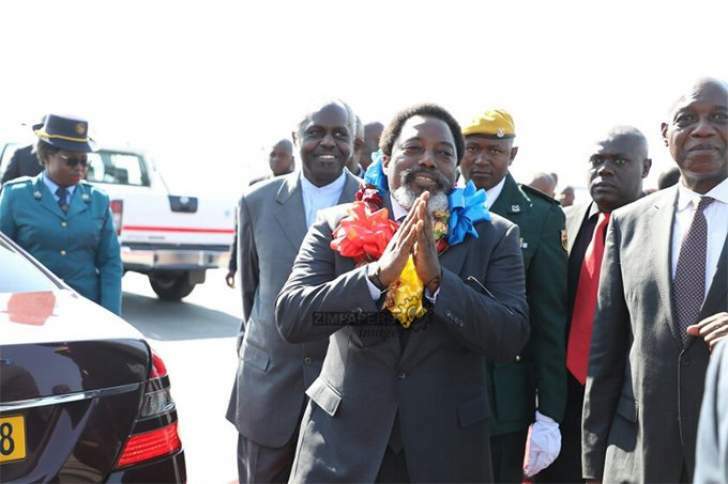 DRC President Joseph Kabila has also jetted in. 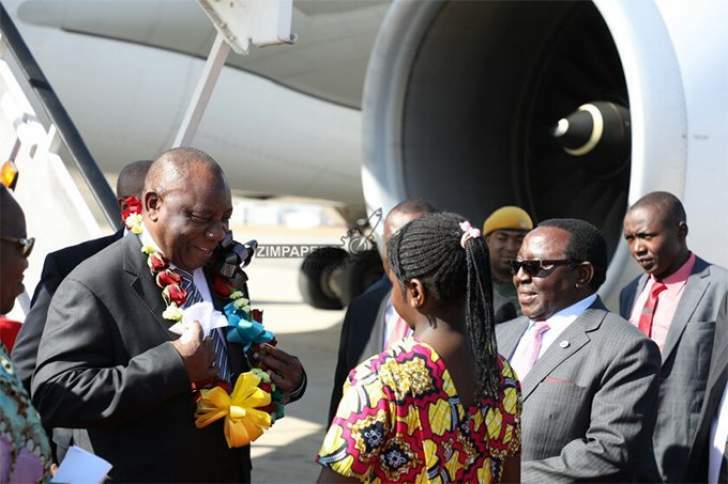 South African President Cyril Ramaphosa has arrived at the Robert Mugabe International Airport.